The location of the University of Wolverhampton means that various parts of the City Campus are separated by an inner ring road in the central areas. This well-intentioned urban thoroughfare was constructed in stages between 1960 and 1986 to help traffic flow, but it also represents a major obstacle for pedestrians (and to a lesser extent cyclists). The subway next to the Molineux football ground is a comparatively safe way to travel under the officially named A4150 but what about other parts? There are many pedestrian crossings designed to enhance safety on foot, but all too often people take unnecessary chances when crossing. Hence, there are undoubted dangers even at the designated pedestrian crossings. In modern times, people are keen to arrive at work, go shopping and are continuously busy commuting between places. Time is money according to the old adage. 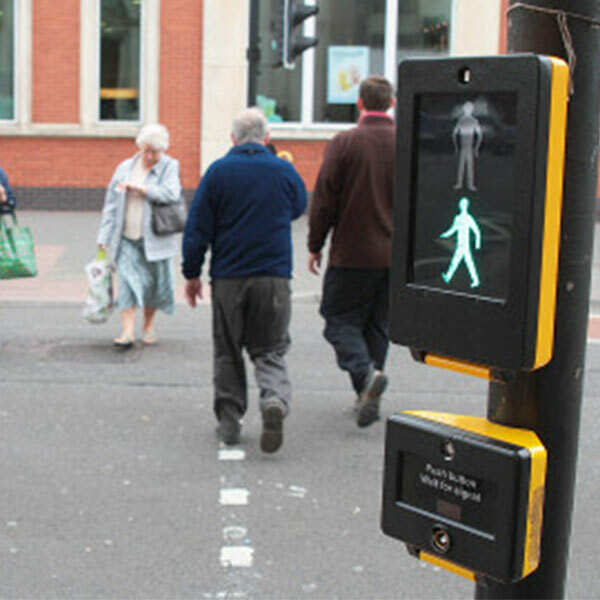 Consequently, do pedestrian crossings help or hinder people in everyday life? The clear answer is that without pedestrian crossings periodically stopping motor vehicle traffic and allowing a clear opportunity for pedestrians to cross safely, then there would be chaos and carnage at road junctions. So, why do people often fail to wait at button-operated, signalised crossing points or worse still drift carelessly around the safety areas of the central reservations? One potential answer could be found in the hidden economics of pedestrian crossings. In the desire to cross a busy road as quickly as possible, a person may undervalue the time spent waiting for a safe crossing opportunity and overvalue the time saved by crossing without a safe signal. This is known in economic theory as a “time inconsistency” and dates back to the work by Finn Kydland and Edward Prescott in 1977. Although the concept was applied originally to decision-making at an aggregate macroeconomic policy level, it can also be applied to individual economic behaviour, too. Hence, while waiting for only a safe signal to cross the road is viewed as a waste of valuable time and potential money (paradoxically as it transpires), once the dynamic nature of time is considered then it is the sensible thing to do for two reasons. Firstly, crossing the road without a safe signal increases the risk of a collision (and pedestrians are often significantly worse-off in such an event). This is known as “jaywalking” and it is prohibited by law in certain countries including the United States. Secondly, crossing the road at will reduces the well-being of all road users because motorists have to slow down, swerve and/or stop to avoid pedestrians crossing dangerously and in the mirror-image pedestrians have to speed up, veer and/or halt to dodge motorists. The economic solution offered by Kydland and Prescott is relatively simple when applied in this case. Both motorists and pedestrians should obey the rules rather than exercise discretion. For the motorists this means not jumping a red light and preparing to stop when the traffic lights turn to amber. For the pedestrians, it means waiting patiently for the green signal, but only then proceeding to cross the road with caution (remembering a motorist will usually have a better outcome than a pedestrian in any such road collision). If all road users follow these simple rules and resist the temptation to use any discretion then everyone’s personal safety and economic well-being will be increased.